A Phone Call From Hell: Absurdity of President Sata’s Threats Against Bishop George Lungu | Elias Munshya, LL.M, MBA, M.DIV. It is sad. It is bizarre. It is chillingly baffling that a bishop of the Roman Catholic Church now becomes the latest victim of a menacing phone call from the president of the our republic. According to reports, Bishop Lungu last month narrated in his homily in Chipata how the President phoned him and gave him a timely “warning” to stop involving himself in the debates surrounding the Zambian constitution. Weeks ago, Bishop Lungu opened the doors of his church for civil society organizations to meet and pray for the Patriotic Front government to fulfill its undertaking of delivering a “people driven constitution” which was initially promised to be provided in 90 days. This phone call from the president deserves some analysis from at least three fronts: common sense, common law and the constitution. History is the best edifice of common sense. She who is oblivious to history can never be noble with common sense. In fact, nothing shows our lack of common sense more than when we ignore the lessons of history. The Roman Catholic Church has been a part of the Zambian public life for so many years that it is actually baffling for a government to begin picking fights with her. Put another way, the lessons of history do teach us very eloquently that no government or president has been successful in fighting the Roman Catholic Church with regard to issues such as the constitution, justice and good governance. In my assertions here, I do not in any way accuse His Excellency Michael Sata of lacking common sense, I am merely wondering why in view of the abundance of common sense the president decided to make that call to Bishop Lungu. Various governments in the past have used threats against the Roman Catholic Church, and all these threats have never succeeded in steering the church away from issues that really matter for the Zambian people. In 1982 Merdado Cardinal Mazombwe told President Kenneth Kaunda (KK)that “church and State relationships are always a difficult issue because it is the same human person who is political, social and religious, a member at the same time of political and religious communities. We cannot divide the human person, as though the body lives in the State and the soul in the Church.” In 1991, the Catholics joined forces with the rest of Zambians in hounding out the Kenneth Kaunda dictatorship. Using the Icengelo magazine, the mother church tapped into popular discontent with KK to push a democratic agenda for Zambia. During the 1996 amendments to the constitution of Zambia, the mother church again joined forces with many Zambians to ask President Chiluba and his lieutenants Michael Sata and Godfrey Miyanda to desist from pushing through some unjust constitutional amendments. The trio succeeded with these amendments, but the mother church continued to be a voice for the poor. In many ways, the same church that had helped to hound out KK had by 1995 become KK’s defender when Chiluba tried to dribble UNIP out of the 1996 elections. Again in 2001, Roman Catholic clergy made it clear: no third term. In their various pastoral letters the prelates of the Roman church have consistently sided with the poor of Zambia. This was the case in 1982, and it certainly shall be the case in 2014. It is therefore quite unreasonable for anyone to expect any less from the Catholic Church now. That phone call brings into contemplation the question of the correct exercise of common sense. It is a notorious fact that the Head of our State does have a lot of powers at common law. However, within a common law understanding of the powers of a president, we must make it eloquently clear, that the powers of the Chief of State should be exercised reasonably. The right exercise of presidential power precludes the use of threats, insults, and mayhem to resolve national matters. To make it more specific, a Zambian president has a burden at common law to exercise common sense in the daily discharge of her duties. She cannot decide to do anything that comes to her mind. She is constrained by both the written and by the unwritten law. It cannot be legal that which inspires a president to make direct phone calls that border on unwarranted threats against citizens of our country. No one has the right to make threats against another. In Zambia, no one has the powers to interfere with another’s constitutional liberties except by operation of law. In our justice system, if Bishop Lungu has committed an offence, it becomes the duty of the police to investigate and for the Director of Public Prosecutions to prosecute Bishop Lungu. This is if at all he has committed a crime by praying for a new constitution. It is not incumbent upon our president to make calls threatening unspecified action on a citizen. We should all take great exception to such behavior. When we come to think of it, we are at a loss for words to describe these threats. Certainly, there is no soldier, or policeman, or any presidential operative who is going to riddle bullets into the Bishop’s chest. This is not the way we behave as a nation. We never resolve problems through bullets, but through ballot inspired dialogue. Our men and women in uniform have been very professional in their duties. These are the same soldiers who when it was clear that power had shifted from Banda to Sata in 2011, professionally run a transition like a mature country should. It is a serious misunderstanding on any person’s part to think these are the men that would go carrying out unspecified threats against Bishop Lungu. 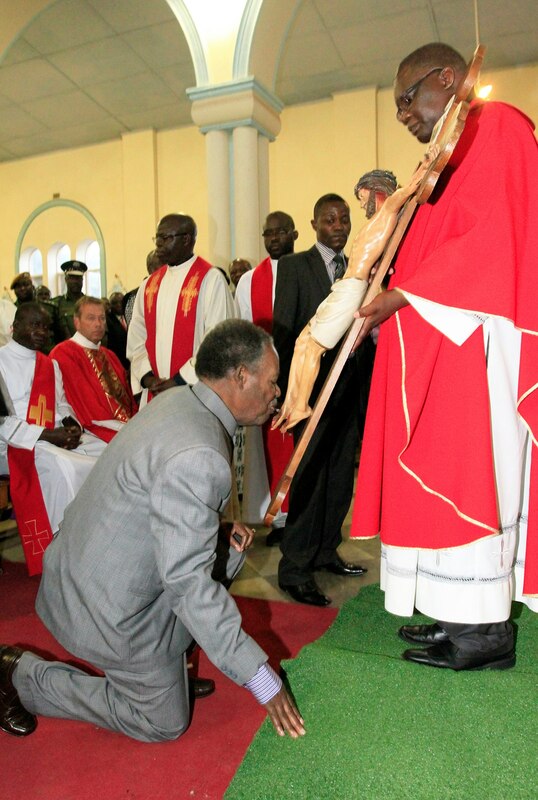 In Zambia, we should not threaten Bishops. Full stop. I have mentioned it before in this column that the Supreme Court has been consistent in holding that the President of our republic has a special place within the Zambian constitution. Both Chief Justice Ngulube and Acting Chief Justice Chibesakunda have given reasonable rulings to impute reasonableness on the acts, status and mind of a president. That being the case, the President still remains a creature of our constitution. She is a subject of our laws. In fact, the president takes an oath of office to defend the constitution of our republic. As a subordinate of the constitution the president cannot just do anything that comes to her mind. She is restrained and constrained by the constitution of our republic. It is these constraints that made President Sata to make a U-turn when he nominated ten instead of 8 members of the national assembly. The president is not above the law. It is ridiculous for any president to depend upon the little immunity they have to begin threatening innocent citizens. Just as seen from the past: immunity can be taken away very fast. It is beneath the dignity of our head of state to breath threats into the ears of a Bishop. 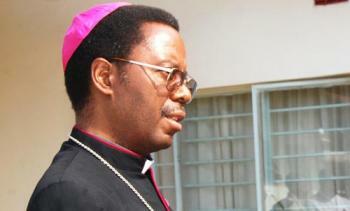 Threatening Bishops is not going to help reduce Zambians’ desire for a new constitution. If President Sata continued on this path, there is no way he is going to succeed making phone calls to millions of other Zambians. Or may be we should all advise Hon Chikwanda to contract more Eurobond kaloba so that President Sata always has enough air time on his cellphone to place a million calls. It is about to get busy.